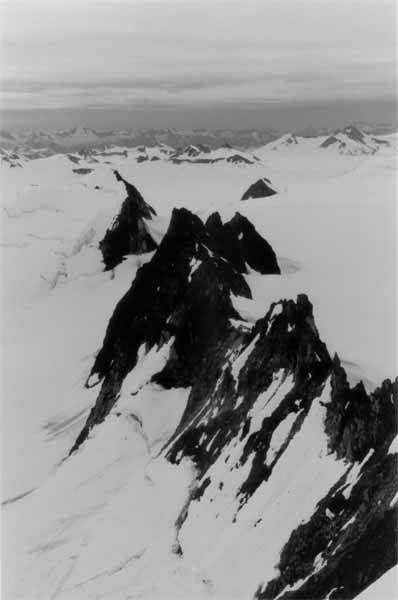 The Picket Fence is a knife-edge ridge formed by the progressive erosion of the cirque headwalls of the two glaciers that diverge from the ridge. This view is from Mt. Moore.